Facebook announced Wednesday that its Facebook Watch video platform is now available globally and, in related moves on the publisher side, its Ad Breaks advertising options have been extended from U.S.-only to worldwide, and the desktop-based Creator Studio content-management hub it had been beta-testing in the U.S. is now available globally, as well. 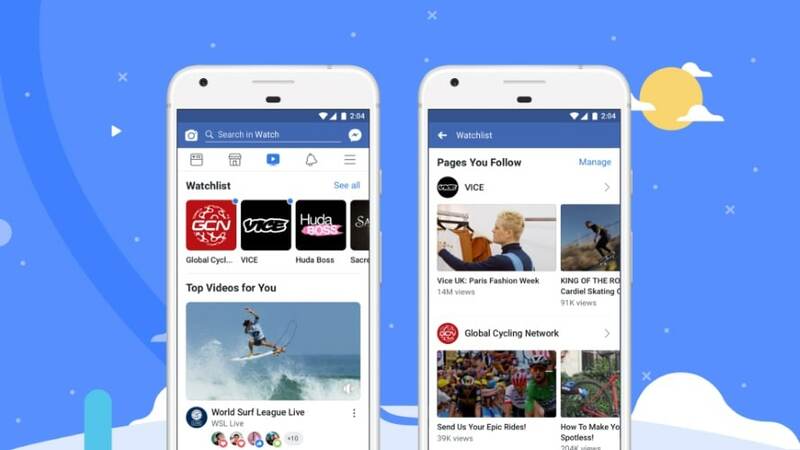 Facebook Watch debuted in the U.S. last August, and it is available to iOS and Android users via the Watch icon in the shortcuts bar or the More menu. It can also be accessed via Apple TV, Samsung Smart TV, Amazon Fire TV, Android TV, Xbox One and Oculus. 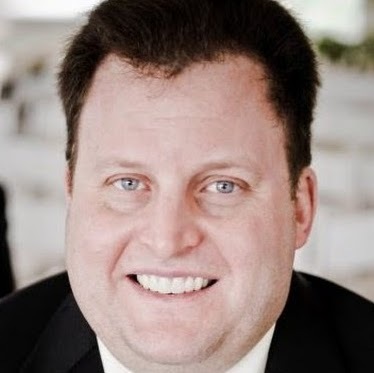 Head of video Fidji Simo reveled in a Newsroom post that more than 50 million people in the U.S. have come to Facebook Watch and taken in at least one minute of videos on a monthly basis, adding that total time spent watching videos on the platform has soared by 14 times since the beginning of the year. Ad Breaks encompass both pre-roll and mid-roll ads, as well as image ads that appear directly below Facebook Watch videos, with publishers and creators earning shares of the resulting revenue when Ad Breaks are shown with their content. Publishers and creators can choose between using an auto-insertion feature which allows Facebook to automatically select the best placements for ads within their videos, or to designate those placements themselves. Product management directors Maria Smith and Paresh Rajwat said in a separate blog post that more than 70 percent of mid-roll ads on Facebook are viewed to completion. Pages are eligible for Ad Breaks if they have been creating videos at least three minutes in length that have generated more than 30,000 one-minute views over the pat two months. Those pages must also have at least 10,000 followers, meet Facebook’s monetization eligibility standards and be located in countries where Ad Breaks are available. That list of countries is currently made up of the U.S., U.K., Ireland, Australia and New Zealand, and the following markets will be added in September: Argentina, Belgium, Bolivia, Chile, Colombia, Denmark, Dominican Republic, Ecuador, El Salvador, France, Germany, Guatemala, Honduras, Mexico, Netherlands, Norway, Peru, Portugal, Spain, Sweden and Thailand. Content in English and “various local languages” will be supported, with more countries and languages to be added in the coming months. Also, for publishers and creators, the Creator Studio Facebook had made available as a small beta-test in the U.S. is being made available globally. Creator Studio is a desktop-based way to manage, monetize and track performance of content, as well as to take actions across multiple pages from a single destination, and to learn about new features and monetization opportunities that might be available to publishers and creators. Explore and search their content libraries, with access to post-level details and insights. 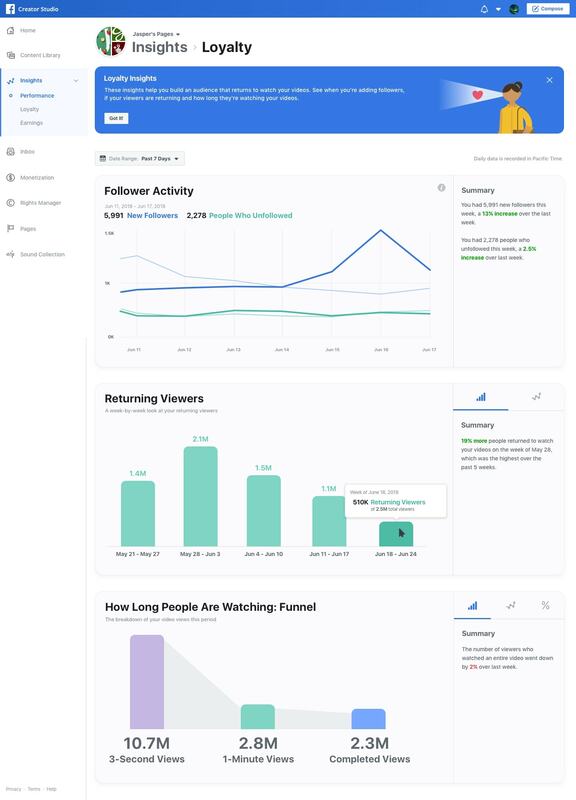 Manage interactions across all owned pages, and respond to messages on Facebook and comments on Facebook and Instagram. Create, schedule and publish content across multiple owned pages, including bulk uploading of videos to single pages, with that function coming soon for multiple pages. Onboard eligible pages to Ad Breaks, review monetization insights and view payments. Access Rights Manager, which enables them to control where and how their original content appears on the social network. Use Sound Collection, providing access to thousands of high-quality audio tracks and sound effects, owned by Facebook, which can be added to their Facebook and Instagram videos.